Kushal K Bangia (hereinafter referred to as “the tax payer”) was a member of a housing society. The housing society along with its members entered into an agreement with a developer for demolishment of the residential building and reconstruction of a new multi-storied building by using the FSI arising out of the property and by utilizing the TDR. Under this arrangement, the taxpayer received a slightly larger flat in the new building, a displacement compensation of Rs. 6,12,000/- (computed @ Rs. 34,000/- per month) for the period of construction of the new building and an additional compensation in cash of Rs. 11,75,000/-. 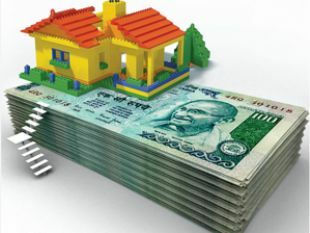 The Assessing Officer (AO) sought to tax both the estimated value of the additional space in the new flat and also the cash compensation received by the taxpayer. Aggrieved by the order of the AO, the taxpayer preferred an appeal before the CIT (A). The CIT(A) deleted the addition of the estimated value of the additional space. However, the treatment of the cash compensation as “casual income” chargeable to tax as “income from other sources” was upheld by the CIT(A). A capital receipt in principle is outside the scope of income chargeable to tax and a receipt cannot be taxed as income unless it is in the nature of revenue receipt or is brought within the ambit of income by way of a specific provision in the Income Tax Act (IT Act). Hence, the connotation of income howsoever wide and exhaustive, can take into account only such capital receipts which are specifically taxable under the provisions of the IT Act. Further, one has to analyze the nature of payment in the hands of the receiver and not what it is in the hands of the payer. The compensation received by the taxpayer is relating to the flat owned by the taxpayer and is clearly capital in nature (as the flat is a capital asset) even if it is revenue expenditure for the developer. The impugned receipt though not taxable as revenue receipt would end up reducing the cost of acquisition of the flat and would be taken into account as and when the occasion arises for computing the capital gains in respect of the new residential flat. In the above ruling, the Tribunal has stressed on the need to characterize the nature of receipt for determining tax-ability especially from the recipient’s perspective. 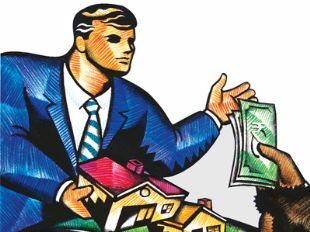 Thus, the each redevelopment agreement would require a case-by-case analysis to verify if a gain in the nature of “capital gains” arises to the members of the society or to the society.